Communication is a key element of good management, and a company newsletter is a cost-effective, productive way to communicate. 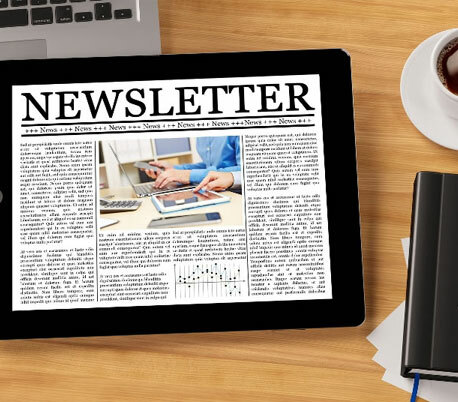 Surveys show that company newsletters are an ideal way to enhance your firm's image — with the public, your customers and your employees. They are also a great way to increase your business. Ink Web Solutions has spent more than 7 years helping companies communicate effectively with newsletters. At Ink Web Solutions, the team of qualified and expert content writers provide the best quality of newsletter writing. The following key features are considered in this content writing company. Chandigarh's Leading Newsletter Writing Company ! We are Newsletter Writing in Chandigarh, India.